Odisha will celebrate Holi festival on 22nd March 2019 according to Kohinoor calendar. Millions of people across Odisha will celebrate Holi with religious fervour and gaiety on Monday. 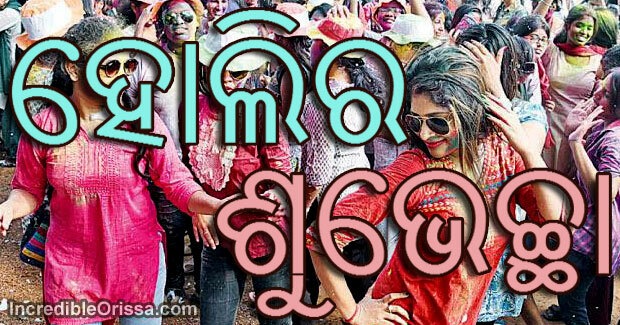 Holi revellers will smear colour powder on each other and offer greetings in Odisha. In Puri however, it is not just the people who celebrate the festival, Lord Jagganath comes out of the temple to play Holi. Holi festival has been referred to in the puranical texts as Basantotsaba or the spring festival. Some scriptures testify that the Madanotsaba, the festival held in honour of Madana or the Cupid was later transformed as the Dolatsaba or swing-festival of Krishna. Therefore, Krishna is propitiated on this occasion as Madanamohana. Description of the festival as Dolatsaba finds mention in a number of puranas and other Sanskrit texts. In spite of being such a colourful festival, there are various aspects of Holi which makes it so significant for our lives. Though they might not be so apparent but a closer look and a little thought will reveal the significance of Holi in more ways than meets the eyes. Ranging from socio-cultural, religious to biological there is every reason why we must heartily enjoy the festival and cherish the reasons for its celebrations. Holi, is known as festival of Colours. It is celebrated at the end of the winter season on the last full moon day of the lunar month Phalguna, which usually falls in March, sometimes in late February. The word “Holi” originates from “Holika”, the evil sister of demon king Hiranyakashipu. King Hiranyakashipu had earned a boon that made him virtually indestructible. The special powers blinded him, he grew arrogant, felt he was God, and demanded that everyone worship only him. Hiranyakashipu’s own son, Prahlada, however, disagreed. He was and remained devoted to Vishnu. This infuriated Hiranyakashipu. He subjected Prahlada to cruel punishments, none of which affected the boy or his resolve to do what he thought was right. Finally, Holika – Prahlada’s evil aunt – tricked him into sitting on a pyre with her. Holika was wearing a cloak (shawl) that made her immune to injury from fire, while Prahlada was not. As the fire roared, the cloak flew from Holika and encased Prahlada. Holika burned, Prahlada survived. Vishnu appeared and killed Hiranyakashipu. The bonfire is a reminder of the symbolic victory of good over evil, of Prahlada over Hiranyakashipu, of fire that burned Holika. The day after Holika bonfire is celebrated as Holi. 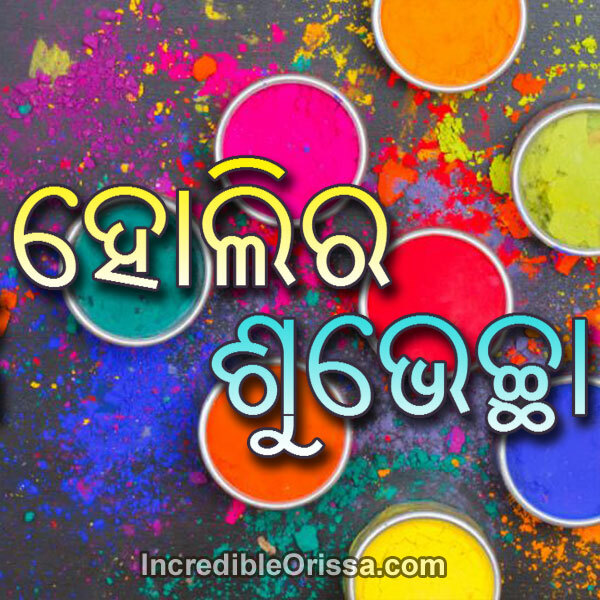 Download Holi 2019 odia wallpaper, video, song, images, sms, facebook cover photo, whatsapp status messages, oriya greetings, Odisha scraps for mobile, laptop and tablet here.